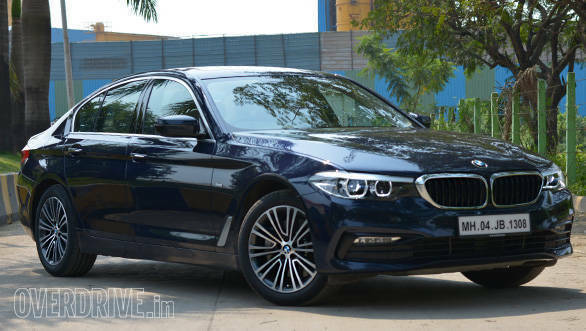 You might pass off the new BMW 5 Series as a car that looks similar to the previous, that is because it does carry on some of the signature traits. 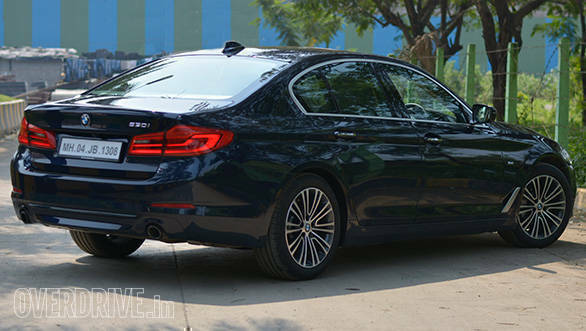 However, the new 5 has got a lot more sharper with a more prominent design similar to the flagship 7 Series. The larger kidney grille and the sleeker headlights make it look wider. The side looks more relaxed with a 30mm increase in length and gets the 245/45 R18 with classy double spoke alloy wheels. The rear does take some inspiration from the 7 but still manages to look distinct. It is interesting to see how BMW has made the new 5 a tad larger and has still got rid of the excess that was see on the previous-gen offering. The plush cabin of the 5 might look familiar if you have just shuffled seats from the 7. 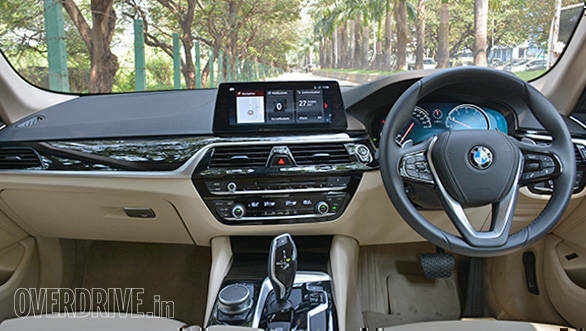 The instrument cluster, dashboard and the other detailings has further increased the appeal. Taking centre stage is the new 10.25-inch touchscreen infotainment screen with CarPlay connectivity, which can be controlled by BMW's iDrive knob. Other than that, there is the gesture control to change tracks and adjust volume. The leather wrapped seats offer great comfort on longer journeys as well. Thanks to the increased length, the rear occupants get comparatively more area to stretch their legs. Even in terms of practicality, it gets a host of storage options along with a generous 400-litre boot space. 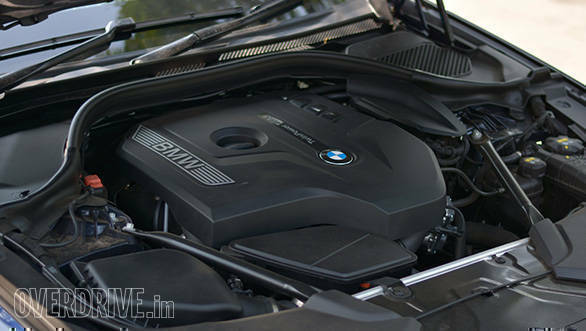 BMW has gone in for a more practical and efficient 2-litre petrol motor that makes 252PS at 5,200rpm and generates 350Nm between 1,450 to 4,800rpm. Mated to this motor is the ZF sourced eight-speed automatic unit. What really impressed us is the almost negligible turbo lag even at lower engine speeds. This was indeed helpful while tackling bumper to bumper traffic in the city. There is enough punch in the motor from as low as 1,200rpm to all the way to the past 6,000rpm. We managed to get an efficiency of 10.93kmpl in the city and 15.46kmpl on the highways. The sedan comes with three drive modes, Eco Pro, Comfort, Sport and Sport Plus which alters the throttle sensitivity as well as shift points of the transmission. Fuel efficiency is the primary purpose of the Eco Pro mode and that is the reason the throttle response and the air-conditioning of the cabin is adjusted accordingly. Even the displays on the instrument cluster change according to the different modes. This mode is ideal while travelling in traffic-clad zone. Then there is the Comfort mode which strikes the right balance between performance and efficiency where in the throttle response is comparatively quicker. However, if you really want to enjoy the performance of the 5, activate the Sport mode. The display turns red, since that is believed to be the colour of performance, and it shows only the gear engaged along with speed. The aggressive throttle input and long holding rev that goes all the way to 7,000rpm is very engaging. Helping that are the paddle shifters, so that you don't get distracted by juggling between the steering wheel and shift stick. It also gets a Sport+ mode which switches off the ESP and activates the Dynamic Traction Control. Pure bliss! I have always had a sweet spot for BMWs when it comes to handling. 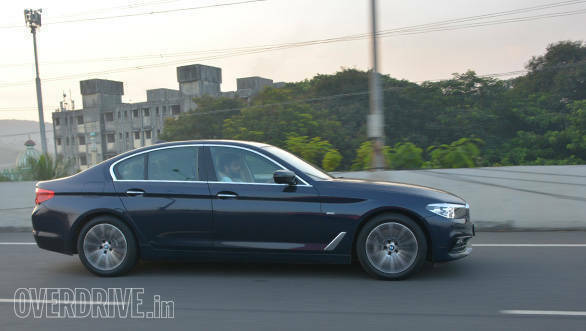 And the BMW 530i too impressed me with its overall dynamics. The 5 comes equipped with an all-new twin wishbone in the front and a multi-link suspension set-up at the rear, with 50:50 weight distribution. 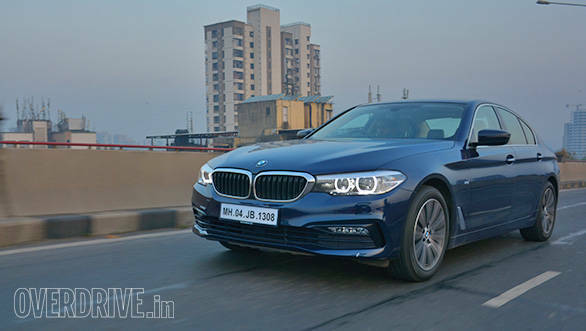 BMWs are known for offering a stiffer setup and the new 5 too retains the same, except that now it is not as discomforting. The setup manages to iron out the undulations caused by the surface, so driving over those rough sections is not a matter of concern. Even at higher speeds, the grips levels are really impressive especially around corners. The 5 also comes with adaptive suspension which automatically adjusts the suspension by making it stiff or soft according to the condition of the terrain. The electronic steering feels nice and heavy at lower speeds but tends to get comparatively lighter at higher speeds. 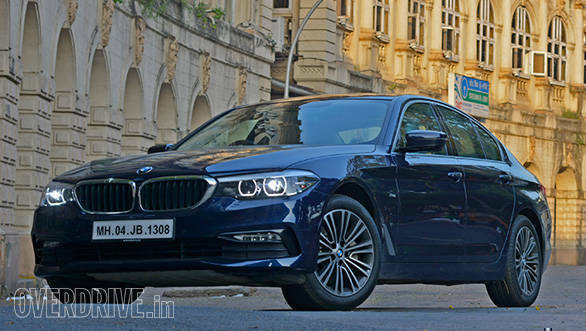 The BMW 530i, priced at Rs 63.11 lakh (on-road, Mumbai), is only offered in the Sport Line trim that makes it miss on features like full-LED adaptive lights, 360-degree camera, keyless entry, wireless phone charging and remote parking through display key fob. 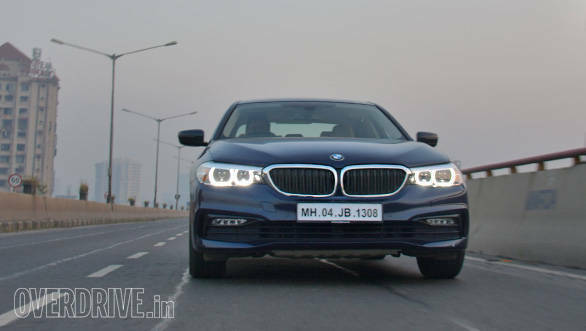 Agreeably, the 2-litre unit is no match for the 3-litre naturally aspirated six-cylinder of the E60, but then this is the best bet that you can opt for until the monstrous M5 lands in the country.